For the very first time Bridgend based company Sharon McKinley Designs will be travelling to London to showcase their unique and stand-alone designs for buyers and businesses from all over the world from 3rd-4th September 2017 at LondonEdge. Held at the iconic Business Design Centre in Islington, LondonEdge is the planet’s only commercial platform for authentic, subculture fashion brands today. This February will be the 36th exhibition in the series of these iconic shows that track and record the changes in youth culture, music, fashion, lifestyles and body art. LondonEdge’s mission is to support and sustain the alternative fashion lifestyle market and provide the ultimate tradeshow platform for brands industry wide. A celebration of the cool and edgy, the show brings the industries’ attention to both emerging and established brands that push the boundaries and represent fashion conscious subcultures. From genuine vintage-inspired apparel to rainbow hair colours, fresh and innovative alternative streetwear, dramatic make-up and cutting-edge curated designers, LondonEdge never fails to deliver, and Sharon McKinley cannot wait to be a part of it. 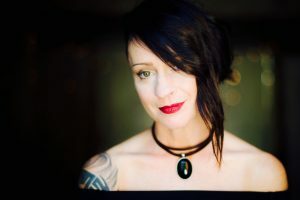 Sharon McKinley Designs will be taking their place amongst established brands from all over the world to showcase their collection of versatile but timeless jewellery, using semi-precious stones and natural leather. The designs are naturally organic with an edge. 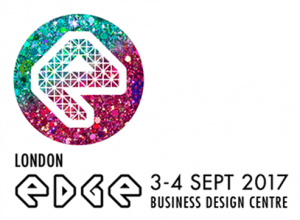 Delivering an exciting dynamic to the fashion trade show scene, LondonEdge is an unmissable date in the diary for those at the forefront of fashion buying. It’s the home of trailblazing brands that create their own path and follow their own rules. Globally successful labels sit alongside emerging young designers in an edit of apparel, accessories and footwear like no other. The next LondonEdge will run, fully loaded, from 3rd-4th September 2017 at Business Design Centre, Islington, London N1. Register to visit LondonEdge at www.londonedge.com/visitors.